You only need it if your state checks for it. Ask your mechanic. Don't need it...don't want it! 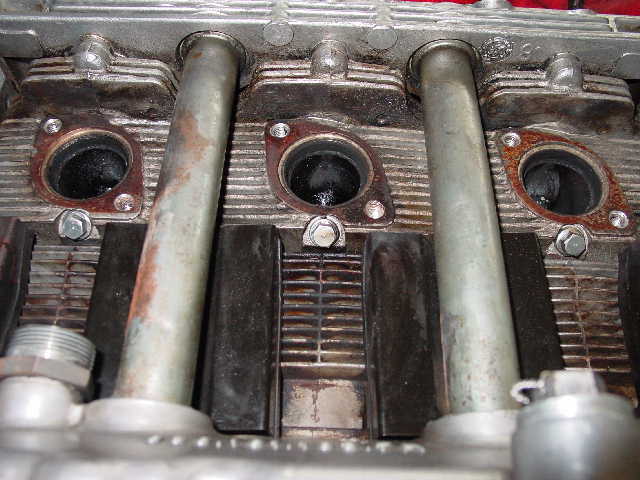 Any reason why I shouldn't have the the air injection system permanently removed during my current engine rebuild? I have B & B headers/exhaust system and a K27/7200 turbo on the car now, and see no reason why I can't have the extra weight taken off and have the engine holes plugged. I'll have the mechanic put the parts in a box in case a future owner wants to "restore" the exhaust system. Steve, I've displayed this chart several times but it's been ignored. My take is, after buying the new turbo and headers you are right back to the boost response available with a functioning air-injection system. My Euro car didn't have the airpump system when I bought it, but I'd have thought that running the pump alone would rob about 5->10bhp from the engine in the same way the A/C system does? 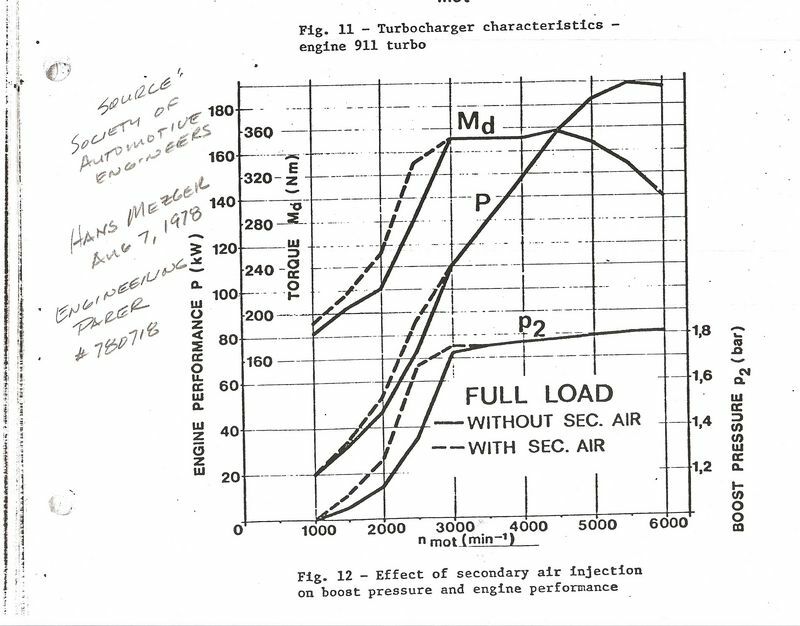 Also, for what car (US, Japan, RoW) is this graph? 190kW = 255BHP, so it's not a very powerful 911 turbo! Hi all got a few questions.. If I want to remove from the top of the engine what do I do so the gas from the head does not escape?do I leave the "valve with the vacuum line to it ?how do i cut the belt I do not see it. Just a thought, but wouldn't it be great if you could get 6 wideband Lambda sensors to fit into the vacant Air-Injection holes? This would be much to close to the cylinder. This position is too hot for the sensor (lifespan) and you get more constant values more off the cylinder. You can moniter egt there . ..and along with that, wide band sensors are supposed to be mounted right side or wire end up between 10 and 2 o clock to keep the sensor element away from any possible settled condensation in the exhaust pipe caused by short drives in humid weather.